OKLAHOMA CITY (AP) – President Donald Trump’s appointment of a University of Oklahoma meteorologist as his top science adviser has been confirmed. The U.S. Senate confirmed Kelvin Droegemeier Wednesday as director of the White House Office of Science and Technology Policy. Dozens of Trump nominees were approved by voice vote with most senators still away for their holiday break. 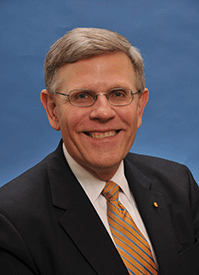 Droegemeier spent 12 years on the National Science Board under Presidents George W. Bush and Barack Obama.